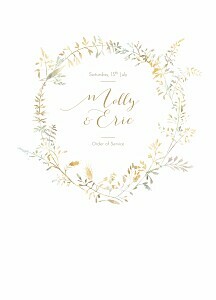 Our wedding order of service printing service is as tailored to your style and preferences as the rest of our wedding stationery. 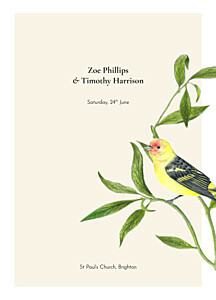 Choose the same design as your wedding invitations for your wedding order of service booklets or pick and mix with another similar style, it’s all up to you! 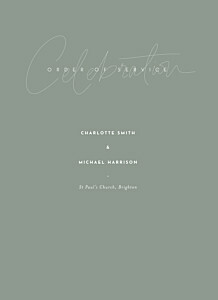 Your personal style will accompany your guests from the church to the reception and they can even take their wedding order of service booklets with them as a special keepsake from your wedding ceremony. 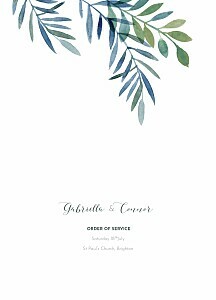 All of the text on the outside cover of our wedding order of service booklets can be personalised online, and you can even choose from a range of fonts and colours. 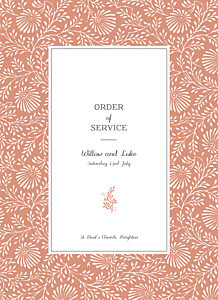 Our wedding order of service booklets are designed to enclose your separate order of service sheets, but if you would like to print your program directly to the inside pages of your wedding order of service booklets, you can arrange this with our customer service team. 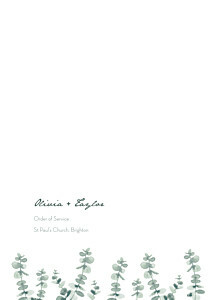 Our wedding order of service booklets will add a touch of elegance to your printed programs. 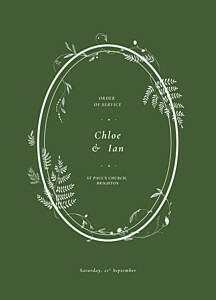 Print your wedding order of service double-sided on an A4 piece of paper, and then secure your sheets inside these booklets using a matching ribbon or even some rustic twine. 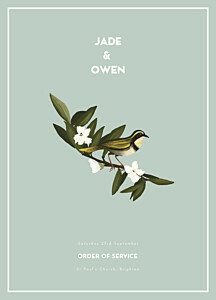 Take a look at our DIY wedding order of service blog post for a step-by-step guide on how to use these wedding order of service booklets. 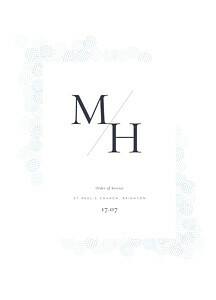 As well as being lovely souvenirs for your wedding guests, these wedding order of service booklets can even be incorporated into your wedding decorations. Have the ushers hand out your wedding order of service booklets at the entrance to your ceremony venue or lay them out on the chairs in advance to brighten up your venue!